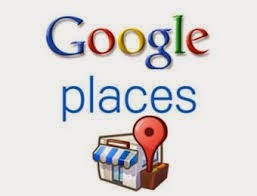 Google places is a great way for local businesses to increase their online visibility. Today, we will discuss about the top ranking factors important for increasing visibility on local places listing. The title of the business needs to be accurate and the presence of keywords helps. For example "Harry's" is not a good title as compared to "Harry's Clothing Collection" because it has the presence of keyword "clothing" in it. Similarly "Harry's Clothing Store" is also a goof business title as it contains the keywords "clothing" and "store". But, hold on, if you spam Google by filling in lots of keywords then your listing would get disapproved.As for example, titles like "Harry's Clothing Collection New York" is keyword stuffed, or "Harry's Best Clothing Shop in New York" is also spammy. Hope I have made myself clear. Business owners might get one thing clear on their mind and that is, they can get ranked on local places only under the areas they currently serve. They cannot get their business ranked for every possible area just by adding unnecessary keywords. The location of the business should be correctly filled in. It should be completed along with proper Pin Codes. This will help the business to rank higher on their relevant targeted areas. For a business that serves more than one area, a company page can be set up using the code of the head office and all the codes of the branch offices can be used in the service area section. This will help the business to rank for all the places as specified under the service areas as well. Please note, that rank of any profile solely rests on Google. You cannot guarantee rankings based on one factor. This is perhaps the most important ranking factor for Google Places. Add appropriate categories under which you want your business to appear. Again, only relevant and accurate categories should be chosen and no keyword stuffing is allowed. There is no point in getting your business listed under a category of products that you don't sell, so please don't do that. Choose service areas very wisely and do not leave them. You will see a small text link appear in your Google Plus business profile that contains the cateogry on which your business is ranking higher. If you don't see any text link then there are chances that your business is not yet verified or categories are not properly filled in. I have seen many businesses making the mistake of thinking that they have a complete profile just by adding a business title, website URL, business address and contact details. But, that's not what is called profile completeness. Profiles that are complete often receive more reviews from their customers and Google always loves to display profiles that are complete. Make sure to complete each and every detail as suggested by Google. Some of them are photos, videos and business categories. Direct Reviews- That can be posted by the customer on the Google Plus Listing page. Indirect Reviws- That are earned and verified by Google using 3rd party sites like Yelp, YellowPages, WhitePages and other local listing sites. The combination of direct and indirect reviews can positively affect a business to rank highly in Google Places. Yes, you got that right. Lots of genuine buisness citations and natural backlinks along with the power of Domain Authority and Page Rank can aid a business to rank higher in Google Places. You can use Google Plus to get plus ones or add an authorship. Both these steps would enable your business to become trusted and popular in the local places community with the result that your listing will get promoted.